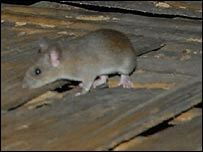 The government in India's north-eastern state of Mizoram has decided to increase wages and food grain supplies to villagers hit by a plague of rats. The Mizoram council of ministers has doubled daily wage rates so that villagers can cope with food shortages. "We have also decided to increase the weekly allotment of rice to the villagers so that they have enough to eat," Mizoram Home Minister Tony Tawnluia said after a meeting of the council. Every adult villager is now getting 2kg of rice per week - with minors receiving half that amount. "We have ordered the district officials to immediately increase the wage rates and food grain supply," Mr Tawnluia said. 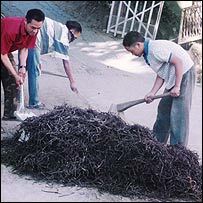 Mizoram has been reeling under an acute shortage of food grain because of the wanton destruction of crops by rodents. The rat population has multiplied several times because of the abundance of food created by the flowering of bamboo crops. The food crisis has been made worse by the massive destruction caused by unprecedented monsoon downpours this year, which damaged hundreds of homes, roads, fish ponds and paddy fields. The state government has declared Mizoram a "disaster area", and has asked the central government for extra cash to mitigate the suffering of the people. Most Mizo farmers have not sowed rice or corn this year, fearful that the rats would eat all their crops. Plant Protection Officer James Lalsiamliana says that Mautam struck the Mizo Hills in 1910-11 and again in 1958-59. He says that it is now back with a vengeance. "It will affect more than 30% of Mizoram's land area and much of the area where crops are grown," he said. "It cannot be stopped, we can only do damage control." More than half of Mizoram's population of nearly 900,000 people are farmers. The Mizoram agriculture department anticipates a crop shortfall of at least 75% in 2007-2008 because of farmers not planting. During 2006 alone more than 200,000 rats were killed. The killing continues but the rats keep coming in hordes. Mr Lalsiamliana told the BBC 1.2 m rats have been killed in Mizoram since 1 October and the government is now paying two rupees for each rat-tail. It was in October 2005 that the initial heavy flowering of the bamboo was first noticed at Chawngtlai bamboo forest in the southern district of Champhai. It then spread rapidly in 2006 and the situation is now worsening.